San Pedro Properties Management Inc. The four-level structure consists of 80,000 square feet of space; about 31,500 square feet is dedicated to retail and warehouse uses. This is a complex project involving retail and parking on multiple levels and required maintaining existing property setbacks and highway dedications encompassing the site. 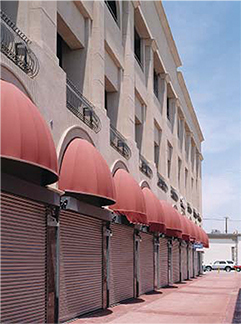 This building is one of the first buildings in the Los Angeles downtown garment district to take retail and parking to several levels and includes retail along with loading docks on the first and second floors.